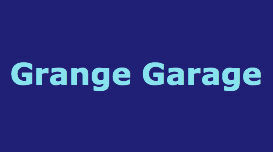 Looking for a garage in Banbury for your car service? No need to ring around or hang on the phone – find and book it online quickly and easily with BookMyGarage. Simply enter your registration number and postcode, choose a Banbury garage and make your booking. You won’t pay a penny until the work is complete. "Very happy kept me informed and was very polite and friendly"
"Good experience , on time, good value." "This is my local garage, get all my car work done here. Staff are friendly, honest and will provide the best service possible. Wouldn't go anywhere else in the Banbury area. Highly recommend." "Very friendly and helpful staff who explained all the work they’d done"
"The service was fantastic .... nothing bad at all to say. Excellent job and I will be visiting again including my Mrs and friends." "Everything was done to my satisfaction, will use again"
If you’re looking for a garage in Banbury for your service, you can choose from 6 on BookMyGarage. We know how important it is to find a local garage you can trust and the star ratings from other car owners in Banbury will help you to choose the best one for you. What is the first thing you do when it’s time to choose a garage for your annual service? Do you just pick up the phone to the garage you’ve been using since you first drove a car - even if it’s miles out of Banbury - because that’s what you’ve always done? Do you ask friends for their recommendations? Or do you compare prices, speed and quality of service, and feedback for all the garages in and around Banbury? While this might seem the most systematic approach, it is also the most time-intensive. But BookMyGarage lets you do just that and book in your service with your chosen garage online at the same time. When do you need to take your car in for a service? The general recommendation is that your car has a Full Service every 12 months (or 12,000 miles) and a Major Service every couple of years (or 24,000 miles). That said, the make, model, mileage and age of your vehicle will all affect how often it needs a service. Your owner’s manual is a good place to start to make sure you’re getting your car serviced when you should. You should also think about having an Interim Service every 6 months (or 6,000 miles) if you're covering long distances beyond Banbury on a regular basis, or you know your car has some issues. The cambelt (or timing belt) is a very important component that regulates the operation of your car engine. If it breaks, it can cause expensive damage, so when it comes to the cambelt prevention is better than cure. This crucial part of your engine will have an inbuilt lifespan. Varying from make to make, some manufacturers suggest replacement at 40,000 miles, others are said to last as long as 110,000 miles. Check your owner’s manual for your specific car. Some tell-tale symptoms that your cambelt might be wearing out include erratic engine behaviour at around 2000 - 4000 RPMs, or your exhaust suddenly starting to expel more smoke than usual. This is an indicator that your engine is struggling and under duress - time to click on BookMyGarage and find a great Banbury garage at the right price. As every garage owner will tell you, there are some tried and tested ways to cut down on your petrol costs (and consumption) while you’re out and about in Banbury or beyond. One is to shut your windows. If you can hear that wind noise in your car it’s costing you more to drive. This is because the car becomes less aerodynamic and has to work harder to motor along. Removing a roof rack will improve your fuel efficiency for the same reason. Another useful tip is to combine short trips into one; each time you drive after your car has been parked for a while the engine will be cold and need to use a lot more fuel for the first 5 miles or so. If you do one trip from school drop-off to supermarket to office you’ll use far less fuel than if you do all those trips individually.